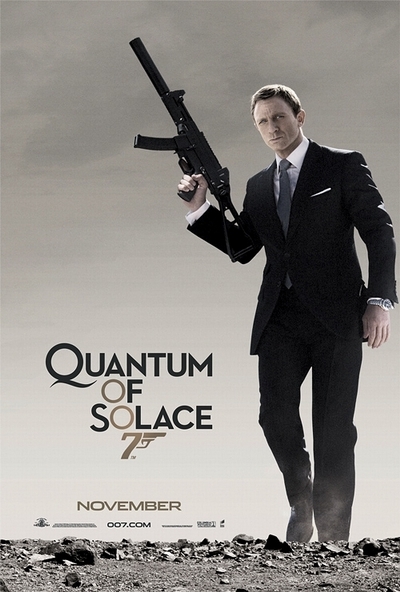 Story: "Quantum of Solace" continues the high octane adventures of James Bond (Daniel Craig) in "Casino Royale." On a mission that leads him to Austria, Italy and South America, Bond discovers that Greene, conspiring to take total control of one of the world's most important natural resources, is forging a deal with the exiled General Medrano. Using his associates in the organisation, and manipulating his powerful contacts within the CIA and the British government, Greene promises to overthrow the existing regime in a Latin American country, giving the General control of the country in exchange for a seemingly barren piece of land.